Gardman Water Hyacinth Hanging Basket. 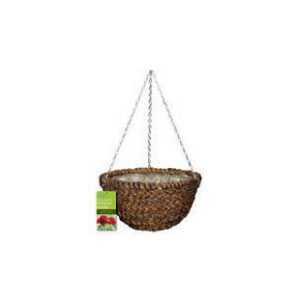 A natural basket on a strong wire frame, with a three point galvanised chain and 'S' hook attachment. Pre-lined with a plastic liner. Made from plaited and stained water hyacinth leaf.